Yoga is a holistic, integrative practice. Translation: your entire body is on board for your whole practice and works intelligently and systematically to find comfort and balance in every posture. Often in class you are cued to specific areas of the body - stack your knee over your ankle, draw your shoulders down your back, lengthen through the crown of your head - as your practice matures you are most likely experiencing a full system alignment with these localized adjustments. There is a certain magic that arises in your body when you experience 360 degree alignment, radiating from your hands and feet, up your legs and arms and inward towards your torso. This intelligence is the way into your body. We promise we're getting to the torso! Creating a solid foundation is the key to aligning and advancing your postures. In this particular example of Warrior 1, the foundation is the feet; that awareness will give way to the freedom, strength and space that comes with proper torso alignment. Take your time to really finesse the details in your body, from the foundation. Torso alignment from the source of the foundation. With foundation set you can move freely into the torso. We'll continue with the example of Warrior 1 but this tip really applies to all postures! Find a neutral tailbone and a gentle lift through your lower belly. Engage the front and back lines of the torso towards the midline to create balance (think of drawing your front and back body towards one another with a meeting point at the spine). Encourage your shoulder blades to draw towards one another and gently down the back to create strength. Hug or wrap in at the joints (shoulders, hips) to stabilize the torso and then use directional pressure out to deepen. Draw in to expand out. Stack your shoulders over your hips and breathe to lengthen through the sides of the ribs up out of the waist. When you consider this practice by its true definition, "to yolk" or "oneness", it makes very clear sense that you are creating something unique to your entire body. All aboard! 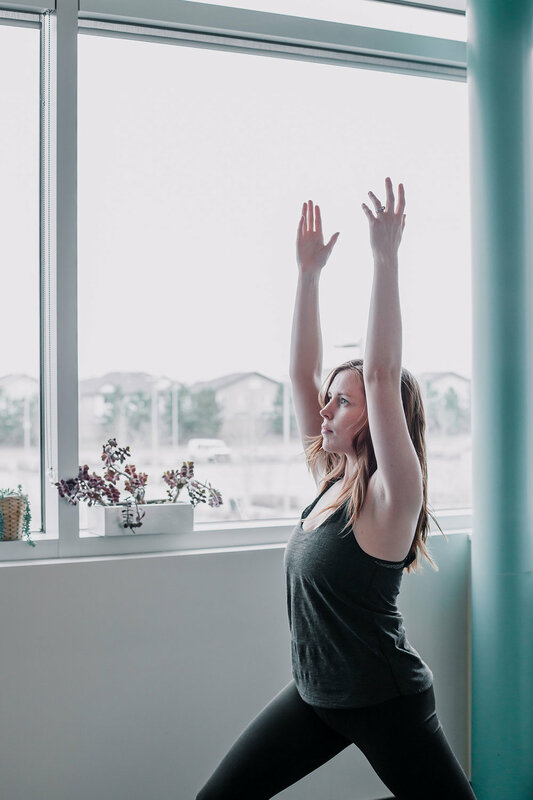 Find this oneness within each posture by first identifying a clear foundation and experiencing how it relates through each facet of your body and breath.